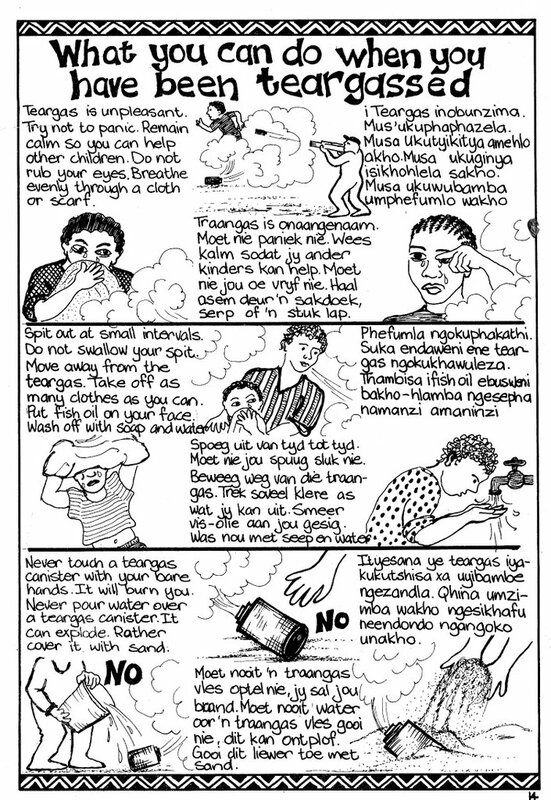 One of their articles during the Apartheid years is about how to protect yourself from tear gas. Many school children were at the forefront of the struggle for freedom and justice. There is now a television program that evolved from the magazine. This is an ad for their campaign against child prostitution. "One of the central partners in The Molo Show is a Cape based children's organisation that was established in the 1980's. For the past 17 years they have focused their energies on children's rights issues and education. Molo Songololo's current magazine distribution is predominantly in in the urban and peri-urban areas of the Western Cape. School teachers use the magazine as an educational resourse and Molo Songololo issues Educational Manuals based on specific themes. The Manuals consist of educational topics, social issues, history, activities, pazzles and games. Molo's growth has partially been linked to a deep commitment to seeing real development for children in the socio-political arena. As an organisation dedicated to children, Molo Songololo ensures that the voices of children -especially those from the poorer socio-economic backgrounds are heard. At present, Molo Songololo is distributed predominantly in the Western Cape. The magazine has the potential to grow nationally as a vehicle for education." Excerpt from that testimony: Our recommendations are as follows: The creation of adequate educational and recreational facilities in township and rural schools; to provide a meal at these schools as children cannot learn on an empty stomach; all teachers should be qualified and should treat children with patience, dignity and respect. All teachers should be evaluated and monitored to ensure that they are protecting the rights of the child; all children should have the right to participate in the evaluation and upgrading of curriculum that respects all the traditions, values and cultures of children in South Africa; the State should provide multi-cultural teacher training; more and improved centres should be set up for the special educational needs of children with disabilities and street children; all creches, pre-schools, schools and institutions dealing with children should commit themselves to upholding the values of the new Constitution and the South African Children's Rights Charter. Molo Songololo's current magazine distribution is predominantly in in the urban and peri-urban areas of the Western Cape. 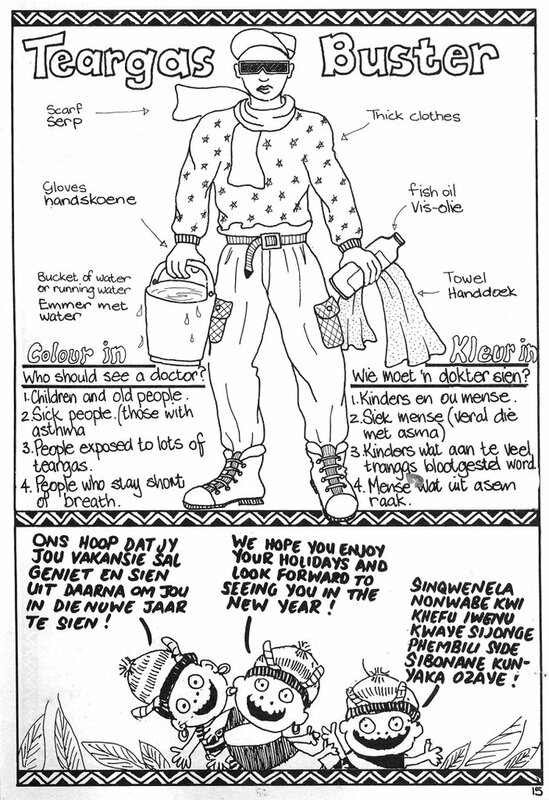 School teachers use the magazine as an educational resourse and Molo Songololo issues Educational Manuals based on specific themes. The Manuals consist of educational topics, social issues, history, activities, pazzles and games. Molo's growth has partially been linked to a deep commitment to seeing real development for children in the socio-political arena. As an organisation dedicated to children, Molo Songololo ensures that the voices of children -especially those from the poorer socio-economic backgrounds are heard. At present, Molo Songololo is distributed predominantly in the Western Cape. 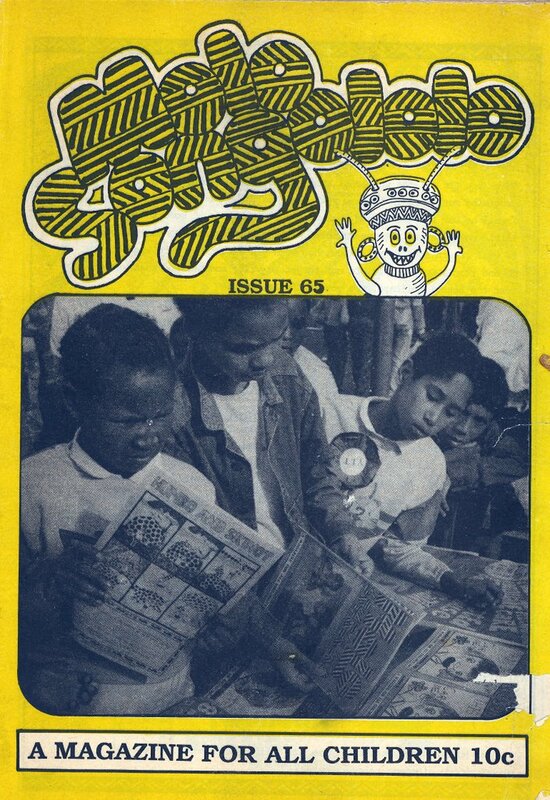 The magazine has the potential to grow nationally as a vehicle for education.